Have your lawn looks its best. Use a professional to get results. 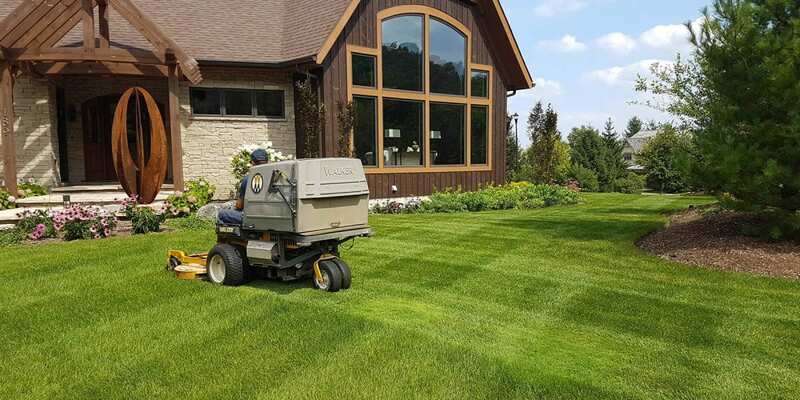 Blue Mountain Four Season prides itself on quality and consistency for all of our lawn mowing projects. Our equipment is commercial grade, maintained on a regular basis. Blades on all mowers are sharpened weekly to assure a quality cut. Weekly site visits from May 1st to October 31 st or as agreement indicates. Turf maintained at a height of no less than 2″ to maintain a healthy root structure. After lawn mowing all grass clippings will be cleaned off patios, walks, and parking lots. 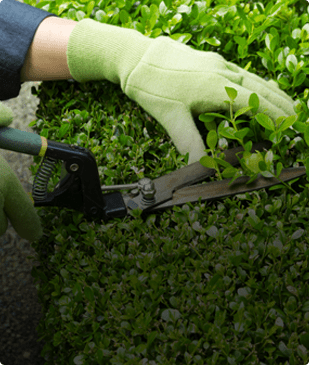 Excessive grass clippings will be removed from lawn areas. Fertilizing is a perfect add on service for lawn mowing. Fertilizer will be applied to all lawn areas in spring, summer and fall or as specified by Owner. The fertilizer blends used will give lawns a good balance of Nitrogen, Phosphorus and Potassium to maintain lawns in a green and healthy condition, provided sufficient water is applied. Weed spray will be applied spring and fall or as specified by Owner. Blue Mountain Four Season follows IPM (Integrated Pest Management) and applies only what is needed to control the problem. By loosening the compacted soil it increases the availability of water and nutrients to reach the root zone. In doing this it enhances the oxygen levels in the soil, stimulating root growth and enhancing the activity of thatch decomposing organisms. While removing cores of soil, the tines also sever roots, rhizomes and stolons. Grass plants are stimulated to produce new shoots and roots that fill up the holes in the lawn and increases the density of the turf. Thus making a denser, fuller, lush lawn. A thatch layer greater than ½ inch thick makes watering difficult, since thatch dries out quickly and is difficult to rewet. It also restricts the movement of pesticides, thus reducing their effectiveness. Nutrients and water cannot be properly absorbed by the grass roots that tend to grow into this area. We use vertical mowers to remove thatch buildup in the early fall where lawns are growing vigorously. It is important to make sure lawns have at least 3-4 weeks of good growing time for the lawn to recover.